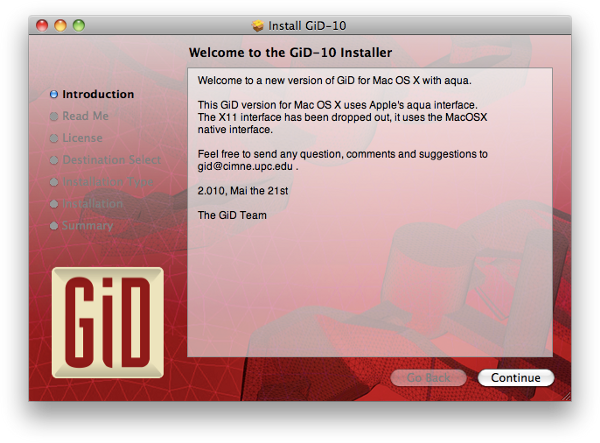 Following instructions are for old version of GiD, GiD 10 and previous. Double click on this volume to open its content in a new Finder window. 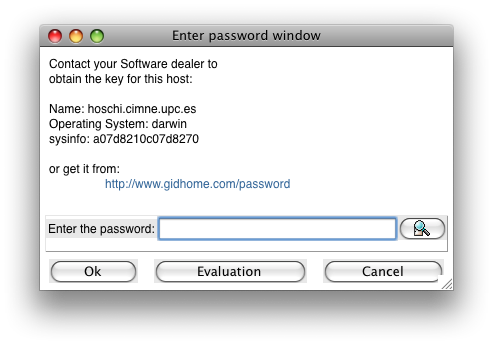 Execute GiD-xxxxxx-Install to open the installation program. 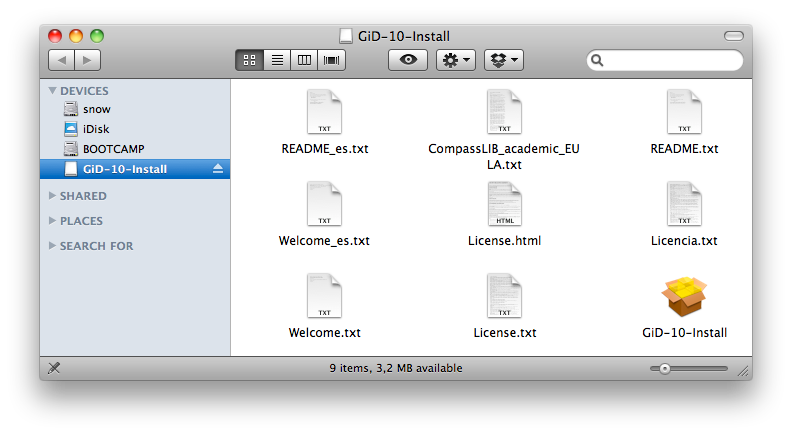 The installation program will create a link to GiD in your Application folder.